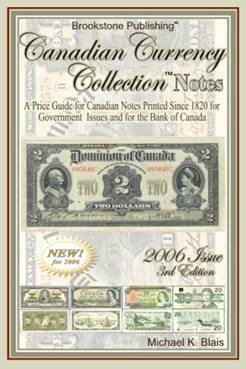 Still available from Brookstone Publishing is the 3rd edition of Canadian Currency Collection™ Price Guide for Notes! 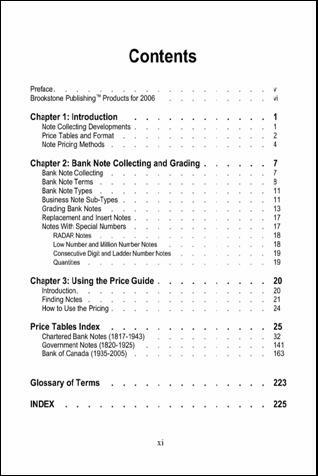 This 240 page issue includes pricing for Chartered Bank notes. ● Pricing for Government Issue notes for Federal (Dominion of Canada), Provincial and Municipal Government issues – from 1820 to 1925. 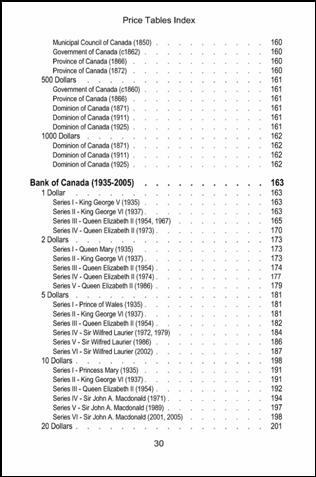 ● Pricing for Bank of Canada Series I-VI Notes (1935-2005). 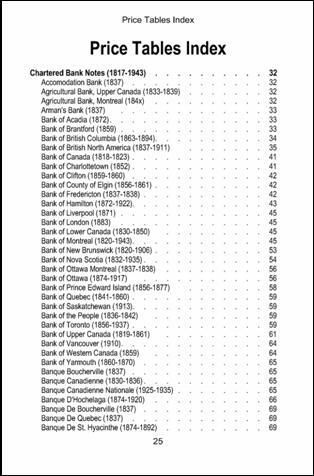 ● Pricing for nearly 150 different Chartered Banks – from 1817 to 1943. ● The most comprhensive single source price guide available on the market. The images below illustrate what you will find in this guide. 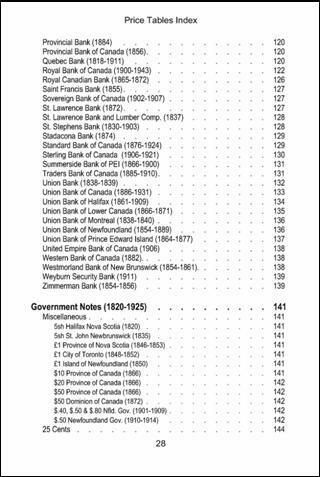 In addition to the Contents page, are three other index pages that illustrate how the listings of notes for Chartered Banks, Government Issues and the Bank of Canada are organized.